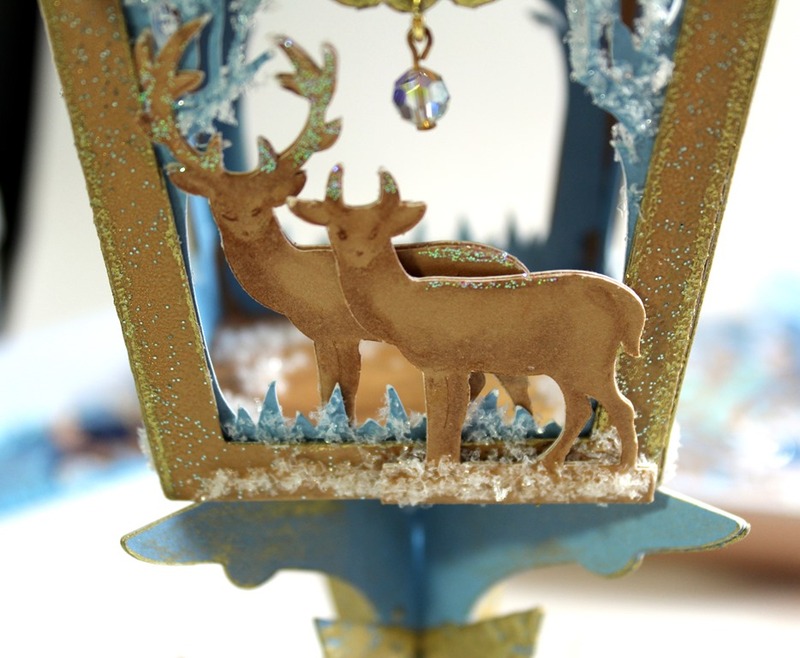 Brother ScanNCut shows coming on Create & Craft TV tomorrow with new Christmas SVG files from the Cutting Craftorium. There is also a coordinating CD with fabulous printables, and a bundle (CD and USB) with both collections. There is so much on this Christmas USB for creating 3D home decor items for Christmas: sleigh, reindeer, rocking horse, boxes, napkin rings, lantern, crackers, cake stands, and wreaths but to name a few. I have not seen the optional CD with images and background papers to coordinate with the cutting files – will have to catch the shows tomorrow. It will probably be a must to add to my Christmas crafting collection. This is a fabulous set of cutting files in SVG format. SVG files are so versatile and can be used on many other electronic cutters, not just the Brother ScanNCut, e.g. Silhouette (with the Designer Edition software). Here is a brief tutorial for my version of the Matchbox Diorama – TV show sample for tomorrow. Anne x. *I saved this piece from my Victorian Lantern project (see post below). Alternatively cut a star from one of the machine inbuilt designs to make the sentiment panel. It is a bit tricky to write an exact step by step but hopefully I have given enough info for you to make something similar and adapt it to your own taste x. Generally my settings for around 220 gsm card is: Speed 5, cut pressure 0 or 1, blade depth 5 or 6. It will vary with card thickness and structure (density etc.). If you are a newbie, or trying out a new batch of card, use the test cut function to try out settings – then record for future reference. I used the Matchbox Diorama files to create this project. Cut the Matchbox Drawer in white card (wait before gluing). Cut the Matchbox Wrap in Kraft card. 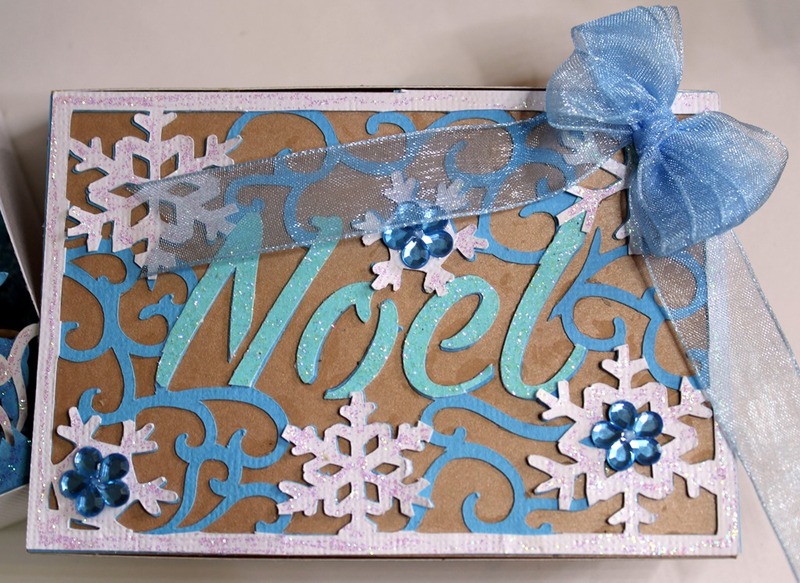 Cut the Matchbox Cover (Noel) in white, light blue and glitter card. Glue down the light blue layer onto the Matchbox. 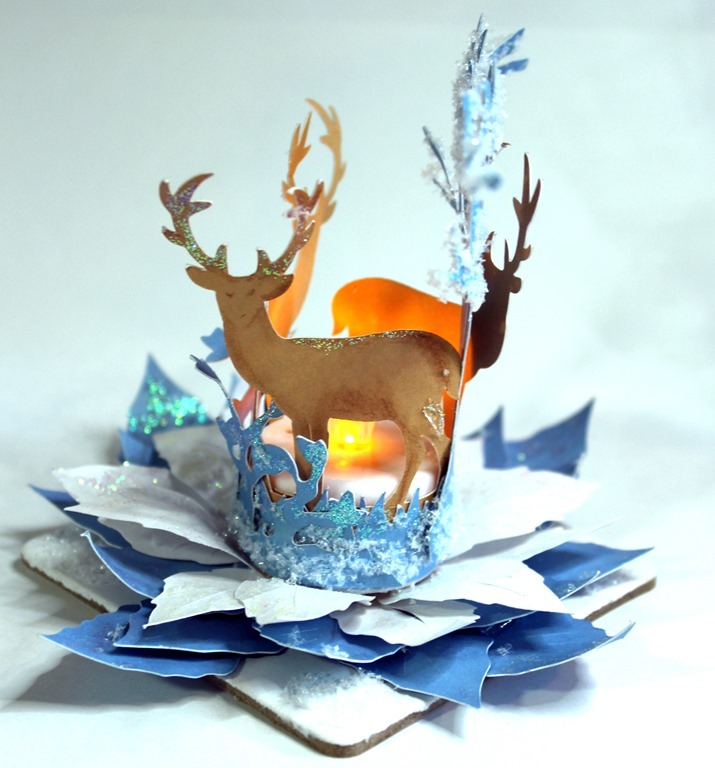 Snip away the swirly sections on the white cut out, leaving the border and snowflakes (keep the waste pieces). Glue on top and add gems and bow. Finally snip out the lettering from the glitter card panel and glue in place. Make up the box wrap. Now cut the elements from the Woodland Reindeer Scene folder. 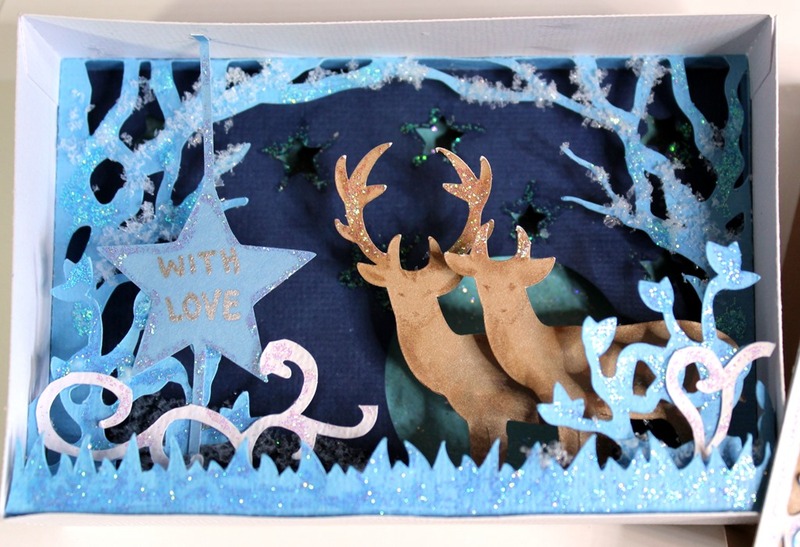 Cut 2 reindeer (Layer 4) from Kraft card. Snip away the antlers from one. Add a little shading with brown pencil and clear glitter glue for sparkle. 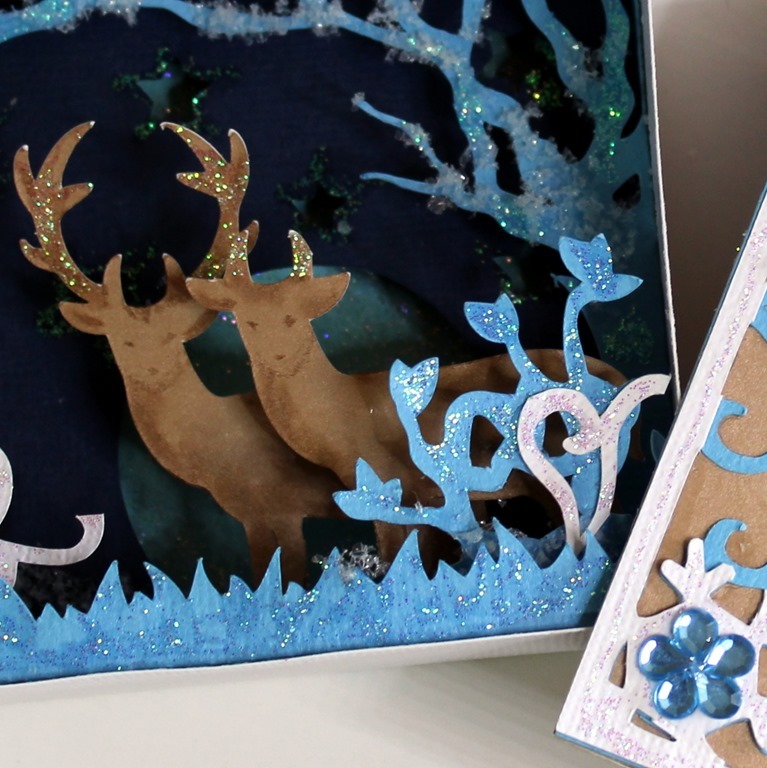 Cut 1 each of the grass border (Layer 5), trees (Layer 2) and the foliage (Layer 3) from light blue card. Load the background (Layer 1) and add a circle (inbuilt machine pattern) to the bottom right, adjust the size to make a moon, and weld. Cut X1 from dark blue card. Hand cut a panel to fit into the base from the glitter card (or use a rectangle shape from the machine patterns and resize). You want it to have a little clearance all around so cut it approx. 2mm smaller than the box base. Glue in place. Next fold the tabs back on the back panel and box, glue in place and make up the box at this stage. Next build up all the layers and glue in place. Add a couple of swirls from the box top waste. Write a sentiment on the star with the silver marker. Finally finish with plenty of fake snow and glitter glue. Here is a brief tutorial for the T Light TV show sample. Anne x. Note: I have edited and resized various files to create this project. Remember to save the files as you go so that you can use them again. It also enables you to reload designs as you go to judge and resize subsequent pieces. 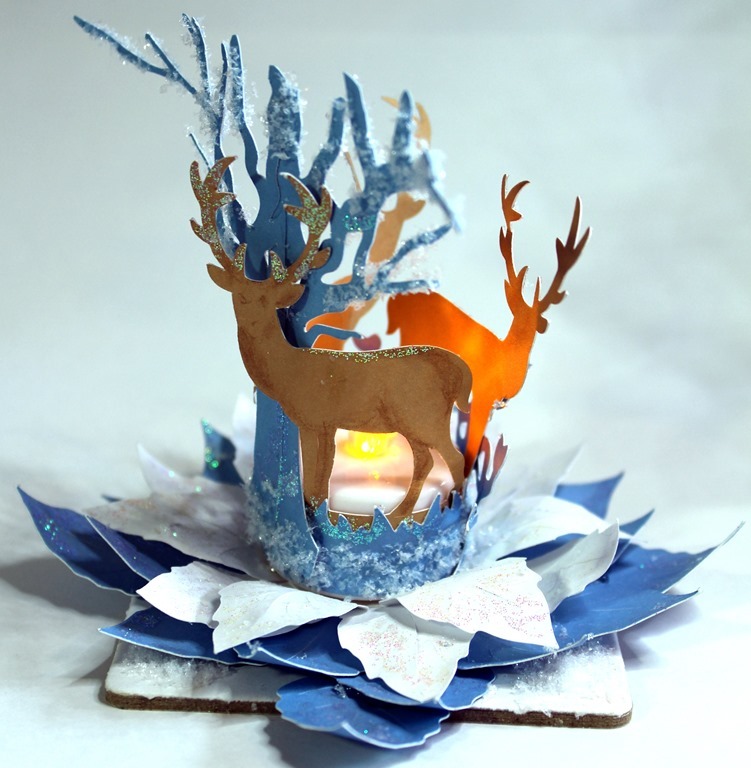 I used elements from the Matchbox Diorama (Woodland Reindeer Scene) to decorate the candle: Load the reindeer (Layer 4) and cut X3. Add a little shading with brown pencil and clear glitter glue for sparkle. Load the grass border (Layer 5), resize to wrap around the T Light and cut from blue card. Use double sided tape to cover the candle. Load the trees (Layer 2), and the foliage (Layer 3) and cut X1 from blue card. Trim the frame away from the tree sections and glue 2 halves together to make the tree. Trim the tabs away from the foliage. 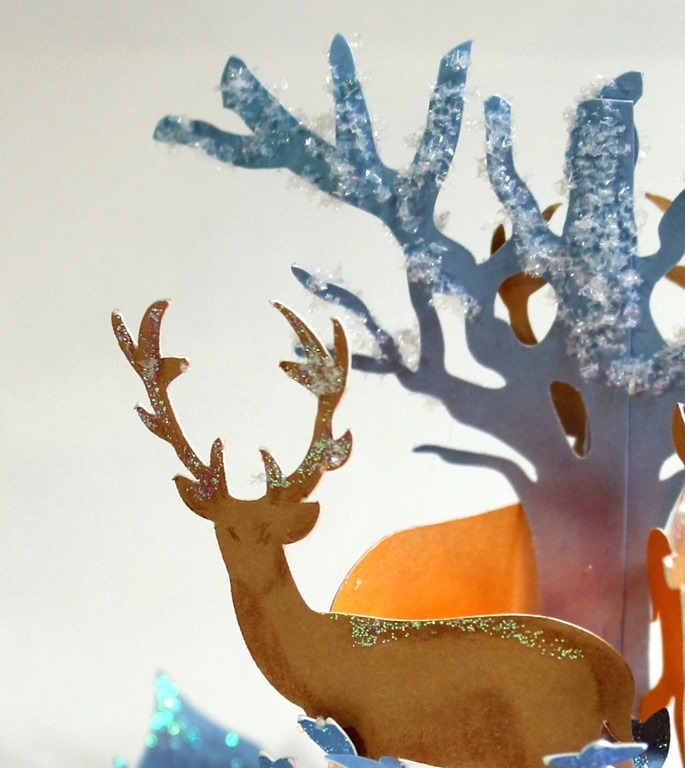 Glue the reindeer, tree and foliage in place around the candle. Add glitter glue and fake snow. 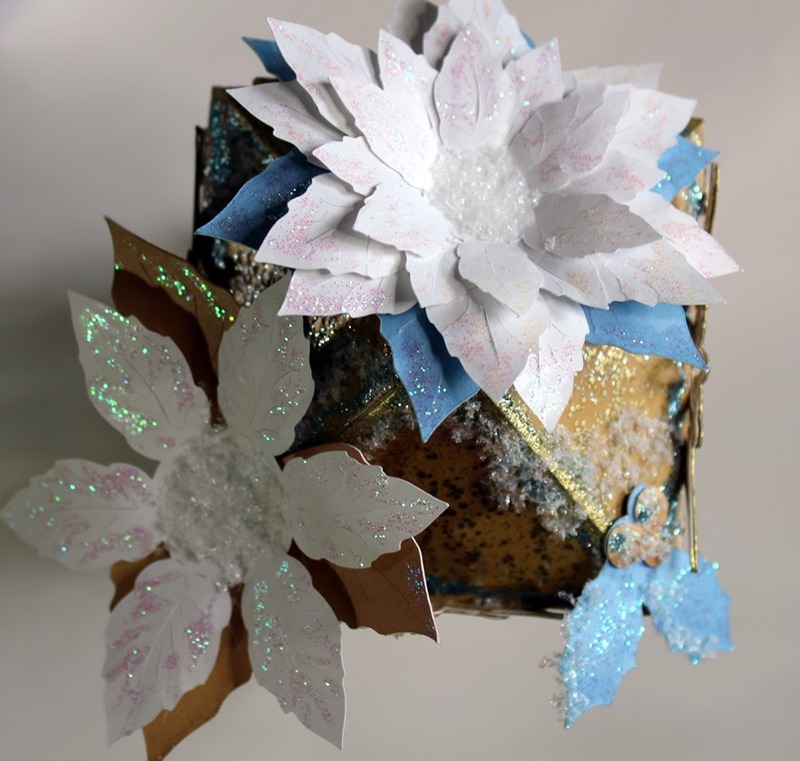 Cut the Poinsettia in white card, Poinsettia Foliage (Poinsettia folder) in blue card. Shape the elements lightly, layer up as desired and glue to the coaster (the candle sits on the poinsettia centre). Finally finish with plenty of fake snow and glitter glue. 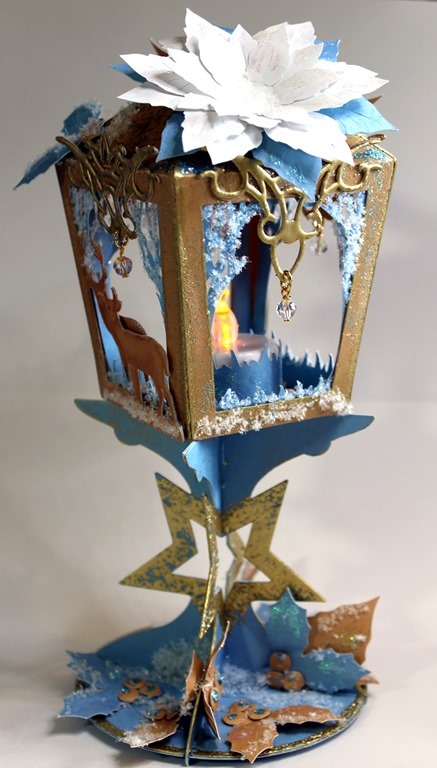 Here is a brief tutorial for the Victorian Lantern show sample. Anne x. Note: I have edited and resized various files to create this project. Remember to save the files as you go so that you can use them again. I reload designs as I go to judge and resize subsequent pieces. Load the star cake stand, group together, turn 45 degrees and enlarge all elements together to fit the 12 X 12 inch mat. Cut twice from blue card. Glue 2 layers together for added strength and leave dry. Note: I am using this upside down for my lantern stand. 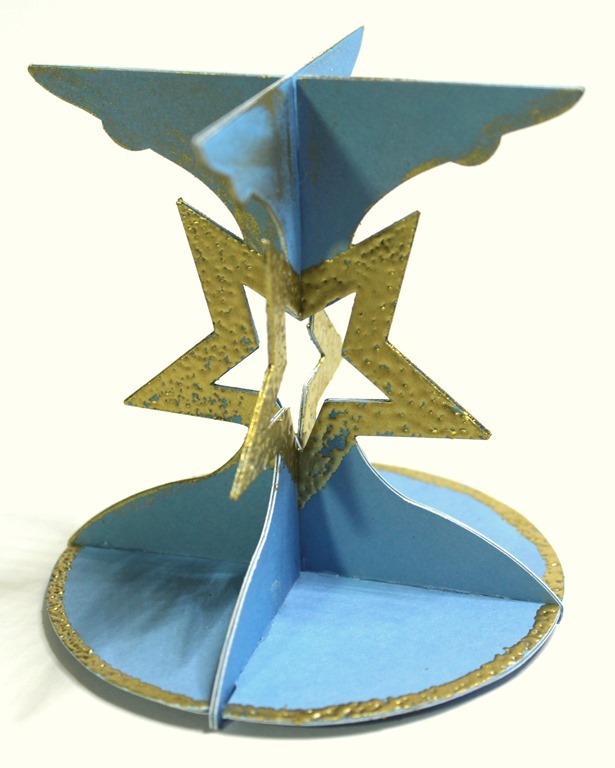 Add Versamark ink to the stars and around the circular base, and heat emoss with thick gold embossing crystals. These give a nice vintage look. Slot together using a little acrylic glue to hold. Rub over some gilding wax. Note: keep the cut out star waste – great to use on another project. 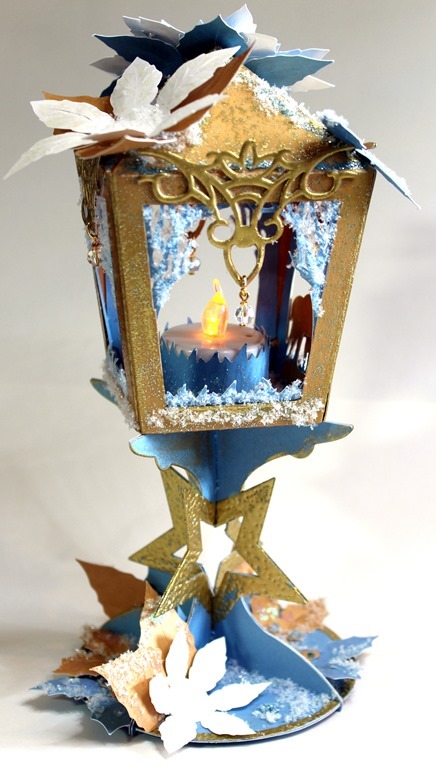 Load the Victorian Lantern, enlarge slightly, and cut 1 base and 8 sides from Kraft card. Trim the tab sections off 4 sides and glue to tabbed sections (for added strength), leave to dry. 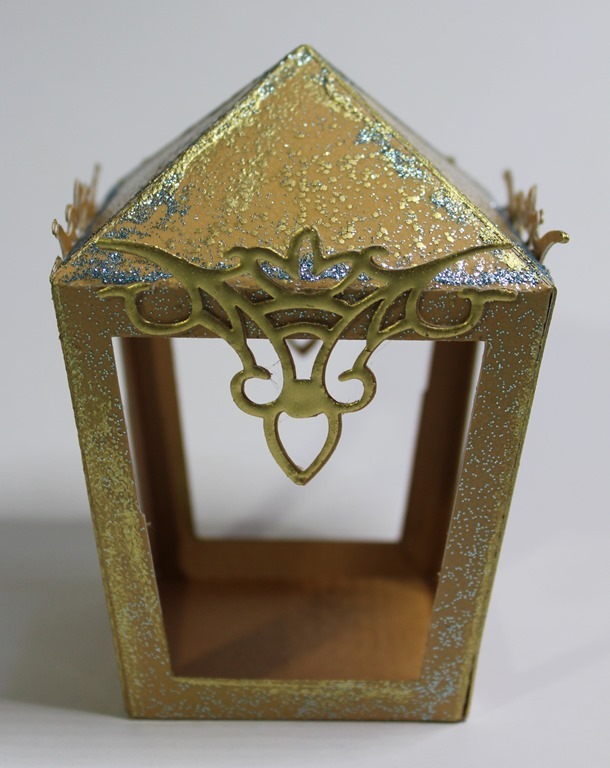 Apply Versamark ink and heat emboss with the clear glitter embossing powder. Drop on some of the gold embossing crystal and melt. Glue together and finish with some blue glitter glue and gilding wax. Load the Victorian Lantern Ornate Detail and resize to fit the lantern window. Cut X8 from Kraft card. Glue 2 layers together and dry (4 finished pieces). Heat emboss with the gold crystals adding more layers for a smooth covered metallic finish. Glue to lantern. 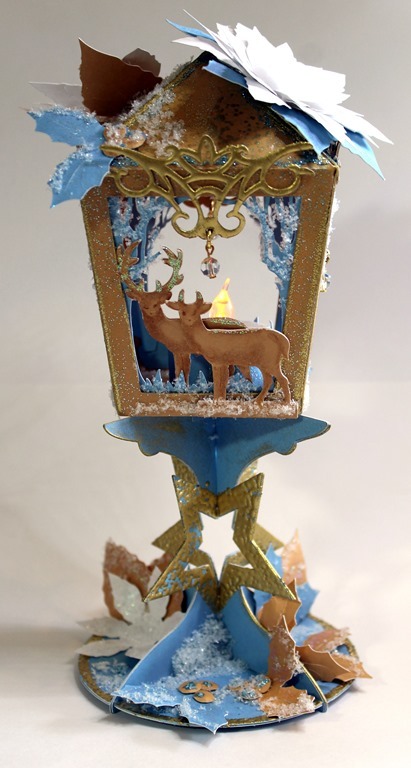 I used elements from the Matchbox Dioramma (Woodland Reindeer Scene) to decorate the Lantern windows: Load the reindeer (Layer 4) and resize to fit lantern window. Cut X 4 from Kraft Card. Trim the antlers away from 2, glue 2 layers together (for added strength). Add a little shading with brown pencil and clear glitter glue for sparkle. Load the grass border (Layer 5) and resize to wrap around the T Light. Add 4 more and resize to fit inside the lantern windows. Used double sided tape to cover the candle. Glue grass borders inside lantern windows. Glue the reindeer in place. Load the trees (Layer 2) and resize to fit inside the lantern windows. Cut X 4 then trim with scissors and glue inside the windows. Next add the little crystal drops to the ornate elements using headpins and jump rings. I trimmed the front one and pierced a hole to attach the crystal so that it hung above the reindeer. Note: if you prefer just use some thread and tie on your crystal drops. Flat backed gems would also look nice. Cut some small tabs in waste blue card and use them to make small right angle brackets to glue the lantern to the base (these will be fairly well hidden under the lantern base). Cut several sets of the Poinsettia in white card, Poinsettia Foliage (Poinsettia folder) in blue and Kraft card. Shape the elements lightly, layer up and decorate the lantern. Glue fake snow to the poinsettia centres. 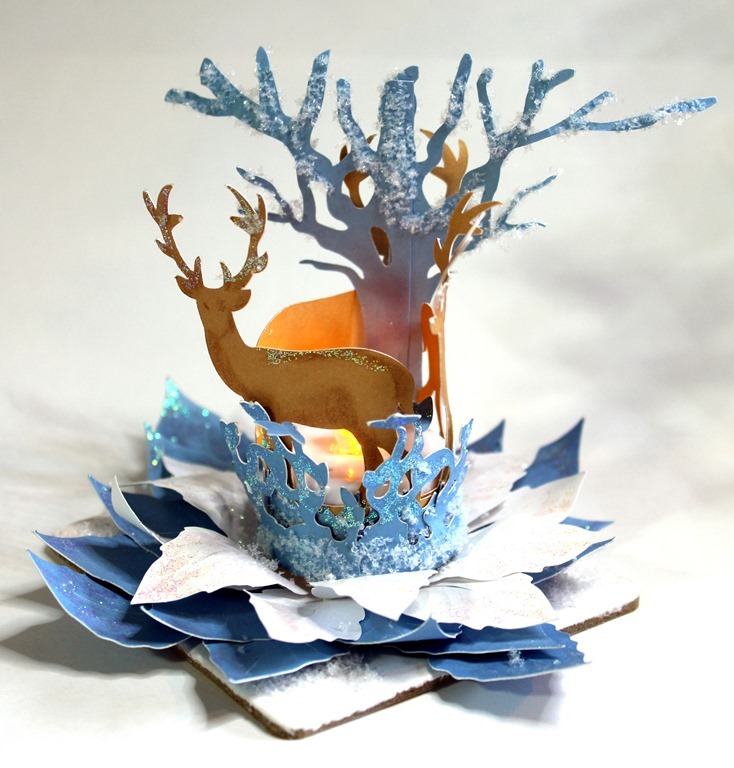 Cut several sets of Holly Leaf and Berries from the Cracker Toppers (Crackers folder) in blue and Kraft card. 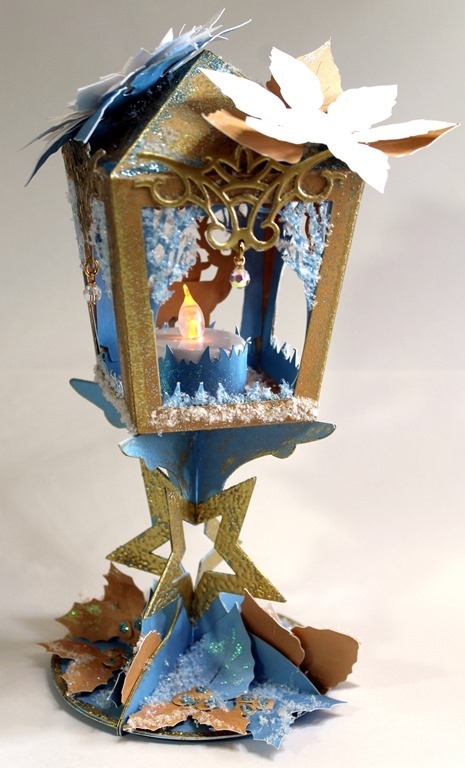 Shape and use to decorate lantern as desired. Brother ScanNCut shows coming on Create & Craft TV tomorrow with new Christmas SVG files from the Cutting Craftorium. There is also an coordinating CD with fabulous printables, and a bundle (CD and USB) with both collections. This is a fabulous set of cutting files in SVG format. SVG files are so versatile as they can be used on many other electronic cutters, not just the Brother ScanNCut, e.g. Silhouette (with the Designer Edition software). Here is a sneak peek of my TV show samples. Off to write up some tutorials for you and will share later. Anne x.